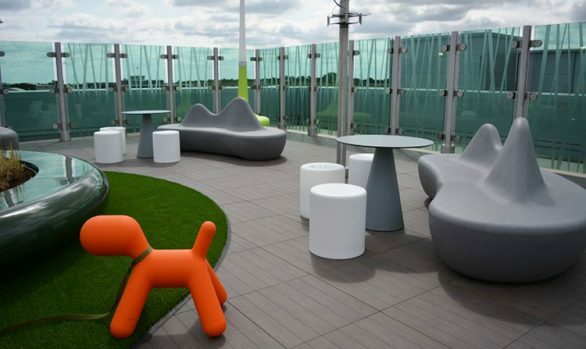 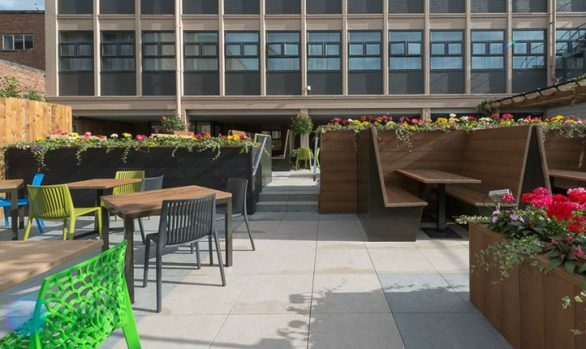 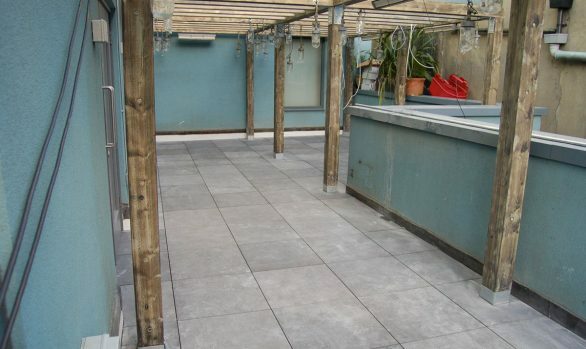 At The Research Centre in Swindon a new raised courtyard flooring was required to cover the 330m² space, hiding drainage and other services underneath. 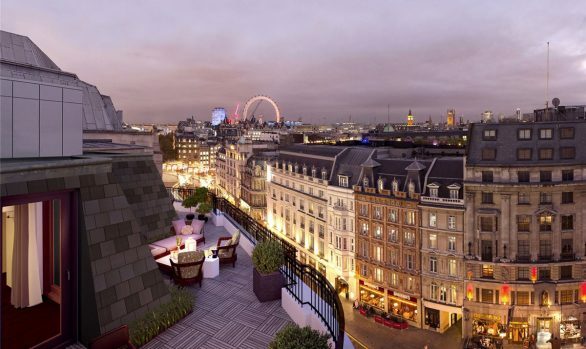 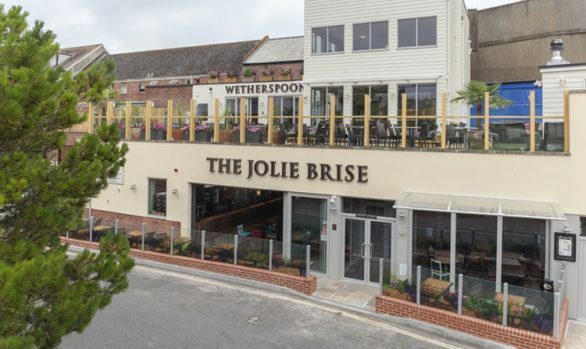 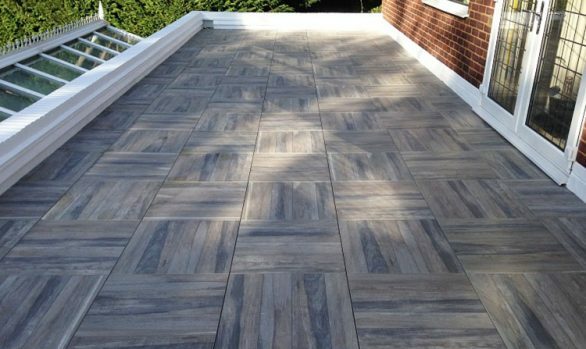 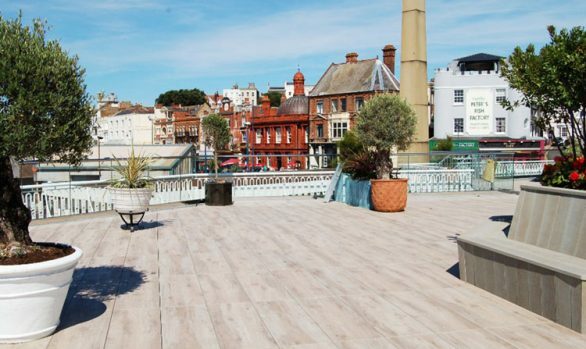 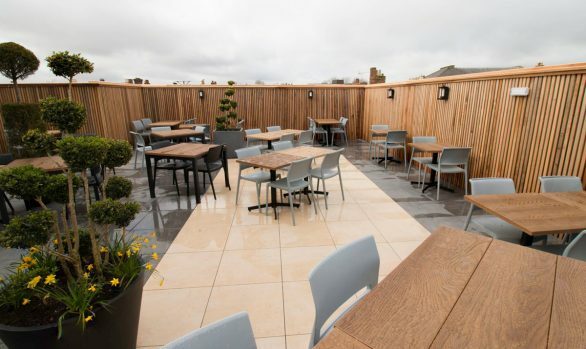 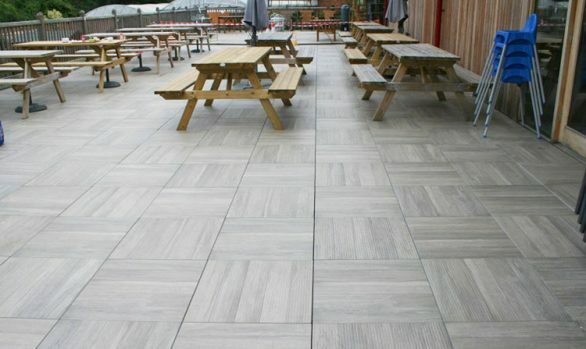 Utilising a combination of two 20mm porcelain paving tile designs from their range, Surface 360 supplied and installed their hyper-realistic stone-effect tiles, which created a boarder around a central timber-effect floor area. 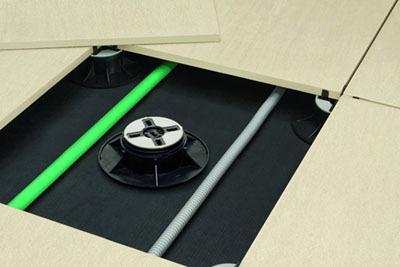 Before any porcelain tiles could be installed, the Surface 360 team installed their tall Height Adjustable, Self-levelling Pedestal Support System, which raised the floor enough to provide adequate room for the services to run uninterrupted underneath. 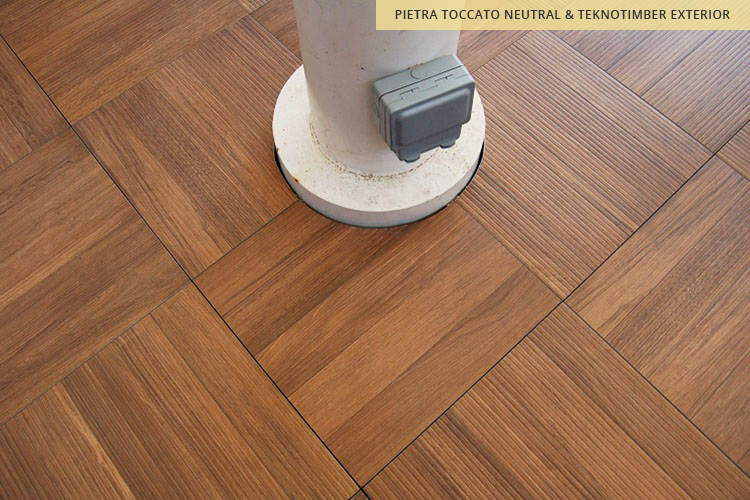 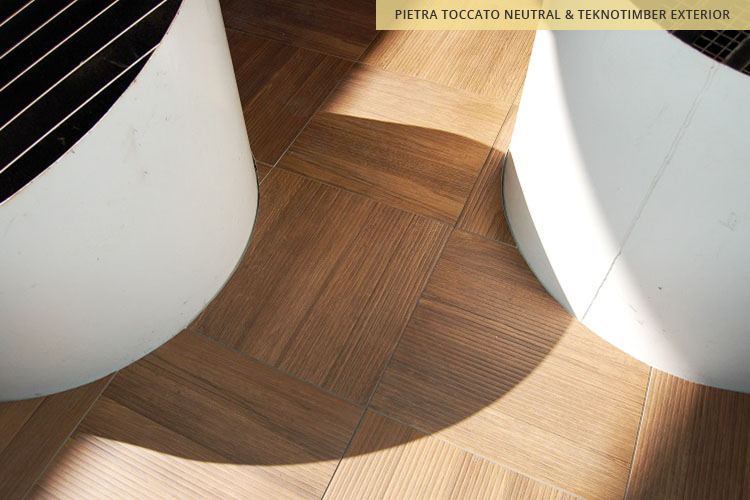 As seen in the installation photographs, the Pietra Toccato Neutral 01, stone-effect paving tiles were first installed to create the boundary boarder, followed by the TeknoTimber 05, timber-effect porcelain tiles. 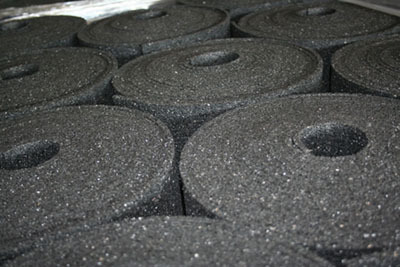 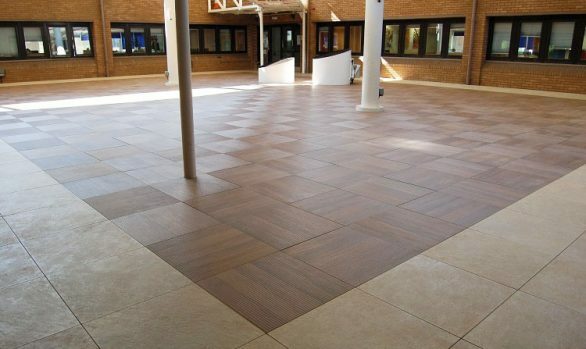 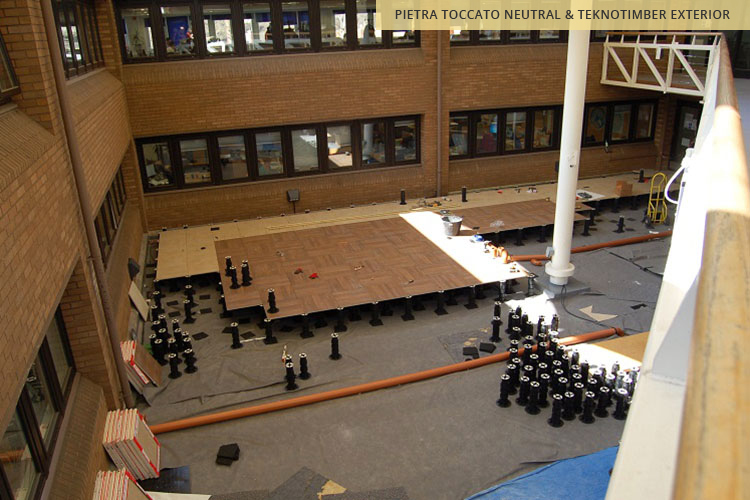 For a uniform installation, both tile ranges were supplied in a large format, 600mm x 600mm size. 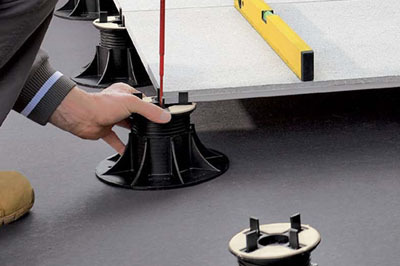 To fit around the obscure building structure and supporting columns, the Surface 360 team used precision cutting techniques for an exact fit. 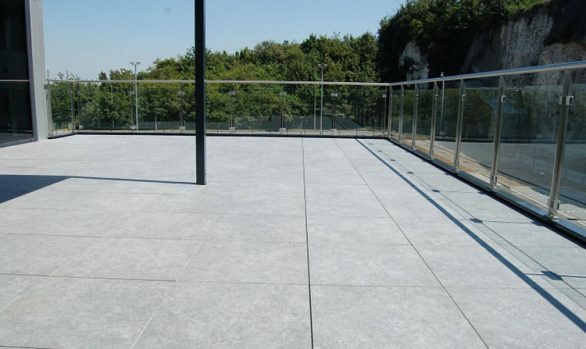 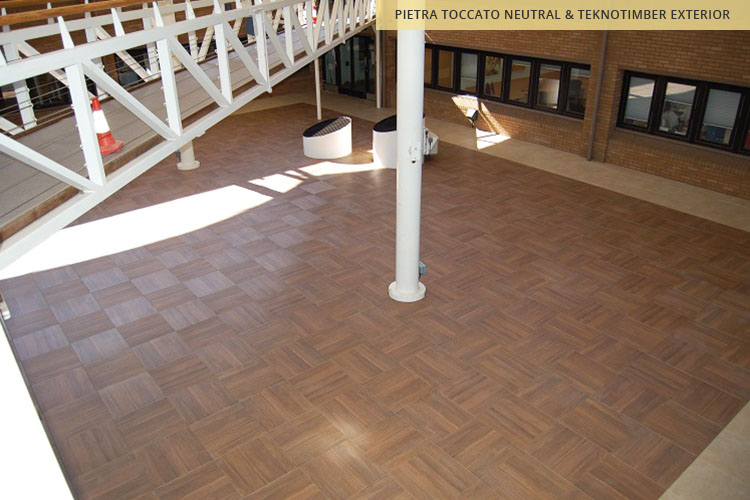 As The Research Centre’s courtyard has an open roof, the tile range chosen needed appropriate slip resistance to provide safety under foot for pedestrian traffic. 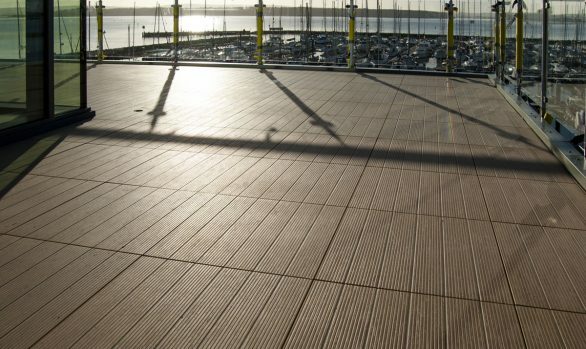 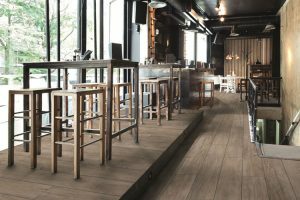 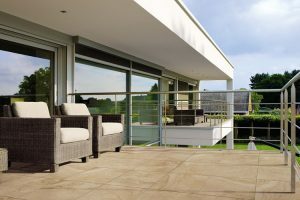 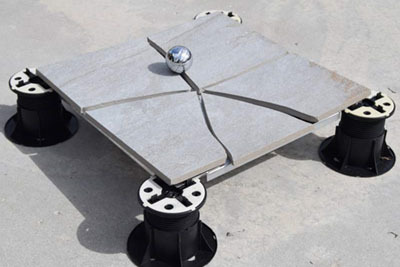 Both paving tile ranges provide a high slip resistance boasting an R11 (ABC) Classification, which is tested to the UK recognised, German National Standard for slip resistance flooring. 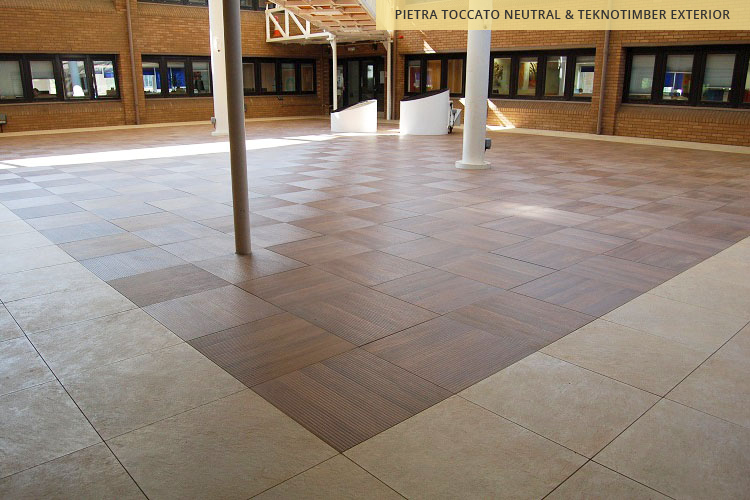 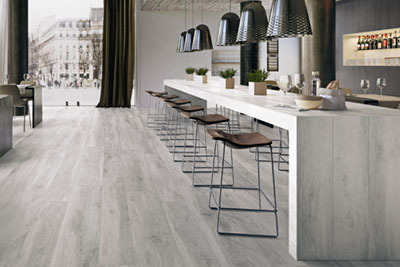 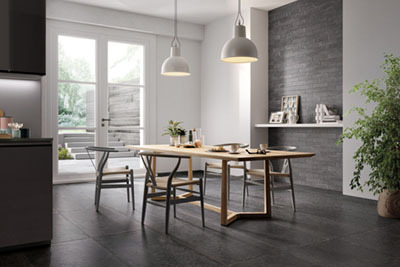 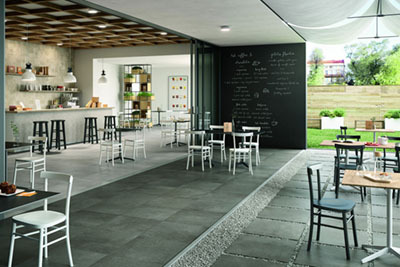 If the TeknoTimber or Pietra Toccato Neutral tiles, or any of our other porcelain tile ranges tickle your fancy, you can request FREE samples of both our 20mm exterior tiles and our 10mm interior tiles via our easy-to-use website ordering system on every product page. 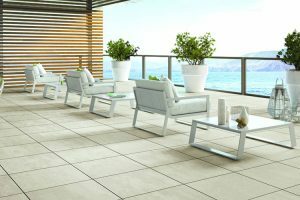 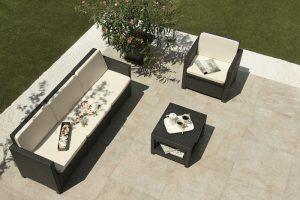 Simply find your favourite tiles, pick which colours you wish to receive a sample of, and proceed to checkout!